Prompt: The territory of Drifter Bay's "Smoke" horse herd overlaps with Inferni territory. This makes it easier for aspiring Vaqueros to keep an eye on the animals -- but it also seems to be causing trouble this winter. Some of Inferni's resident horses are picking fights with the strangers; how can this be resolved? There were few problems among Inferni's horses, as wily or aggressive as several of them were. 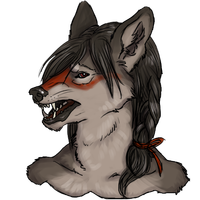 Policies overseen by Myrika ensured that every coyote was liable for the actions of their mounts -- and that there was as little fighting and unwanted breeding as possible. Most of the herd remained in the D'Neville Garden, while the intact stallions were stalled and sometimes roamed, watched over by a Fera. Generally, the animals did not travel far; while the horses had no strong concept of borders, they did understand safety and kept to the heart of the territory. However, some odd stroke of luck had made them travel a little farther west than usual, Vicira riding alongside them on Tigana. That same stroke of luck led the perlino stallion of the Smoke band across Inferni's borders, where his angry trumpeting sent Vici galloping. Whoa, hey! the coywolf snapped from her mare's back. Tigana snapped the air, while poor submissive Bairre shied away from the pale stranger's whinnying. Beyond the stallion, the Smoke mares milled uncertainly, their chestnut leader herding them where she pleased. Spotting her, Tigana snorted and postured, but Vicira whirled her away from the feral horses and chased Bairre back toward the others. When she circled back around, she frowned. The band, strongly bonded after years of surviving alone between the bay packs, continued to encroach on the territory, for the most part grazing -- though the stallion and dominant mare watched her carefully. Among the foothills, the two groups of horses waited uncertainly, and in the middle of it Vicira sighed. Basilio was no stranger to the herd that wandered through the Bay. He'd spent most of his free time, other than that spent with Crucifix, out here on the plains that were growing but not completely bare of proof of life. Dust scoured against his feet that were muddy from the snow and the wetness of rain that had passed the last few days. Spring was coming to an abrupt forefront. He'd only gotten too chilled once to part ways from the bay since he'd started making it his pastime in the way he'd once studied war. He was well established in the pack as a coyote who could fight, even if he'd lost the battle in the old church. He still had his life and that was all that mattered. Today, he rode on the back of Gargyole who stood proud in her place at the top of one of the many hills dotting the landscape. While his feet were dirty, he had not walked too much other than when he needed to. He knew that someone else was out here. 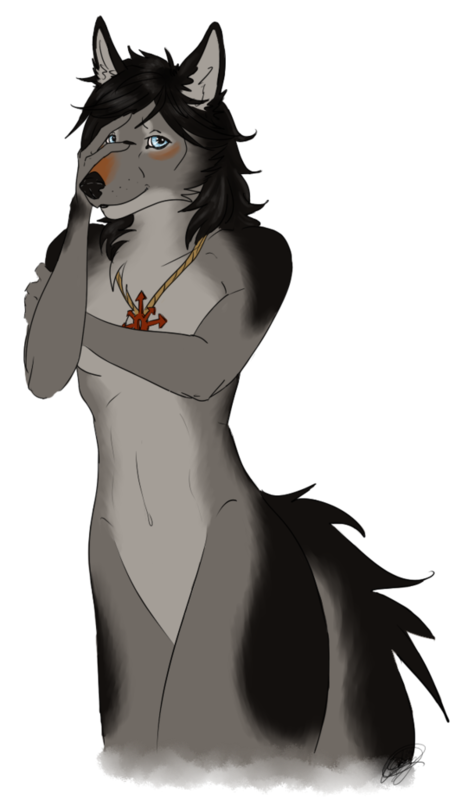 He'd caught their scent a moment back though he knew that it was safe considering it was a member of Inferni and not someone from a random pack or a loner wolf. "Woah," he mumbled as he came to the other side of the Bay horses' herd, his body lightly leaning down to pat against the mare's neck. He could see her from the other side. Vicira and Bairre, the same horse he'd helped teach Crucifix with a moment back. He quickly tugged on her reins which brought them around the other side. Fortunately, she was good with light galloping and it took only a few moments for them to approach the duo, his eyes cast on the two offenders who had branched at the girl in his sights. "Everything okay?" He had not approached the girl since the two of them had seen one another in the archery stand. Hadn't felt right after he'd unintentionally hit on her. The hoofbeats of another horse had Tigana tensing beneath her, but as Vicira turned to make sure none of the animals were breaking away from their groups, she recognized the scent and color of an Inferni horse. There was a small shape on the blue roan's back, and Vici was quick to recognize Basilio, too -- though she wasn't sure about his approach. Memory of his flirting, though she'd written it off initially, came crawling unpleasantly back after Crucifix had mentioned the man. Despite herself, her lips twisted into a small frown. She threw up her hand helplessly at his question, which made Tigana -- catching the gesture out of the corner of her eye -- turn again. Restless and aggressive, the pinto glared at Gargoyle next -- but Vicira, with practiced motions, pulled the mare around in a tight circle to calm her. It's not serious, and I can handle it, Vicira said, a bit more waspishly than she'd intended. We just need to get our band deeper into the territory and let them have their place. I don't usually lead them out this far, it's just -- She hissed, and Bairre, who in his usual submissive, friendly way was attempting to approach one of the feral mares, stopped in his tracks. She sighed. I wanted to check up on them, too, though, and don't want to lose the opportunity now that they're here. Basilio had figured that it would only be a matter of time till Vicira knew the truth about what had happened between Crucifix and himself. After all, Covenant didn't seem the type to keep her mouth shut and Crucifix had been readily truthful when it came to her family knowing about her personal life. It dug him a deep grave within the minds of the de le Poer band but he didn't mind. Not really. He loved Crucifix. It wasn't something he was used to thinking. He hadn't felt that way before, not ever, really. It left a bitter taste in his mouth that he'd screwed up. However, this wasn't really a moment for that sort of thinking. As Gargyole approached, she grew hesitant on moving too close, keeping both an eye out for the wild mares and the brute stallion but also keeping a pensive spacing between Tigana and her rider (Basilio). Basilio had never really socialized his horse with the others in the stables. Bairre, though, was a familiar sight. She had ridden with him, however short a spans of time that was. Basilio settled back on her saddle, wine stained eyes darting toward the herd before traversing back to Vicira. "I can go to the other side so we can herd them off in the direction we need them. It could give you a bit more space and distract the herd enough that they don't bolt on either of us," he offered, doing his best to ignore the frown carried on her lips. He'd spent a lot of time with the herd. Not enough that they trusted him, even though he never got close enough to touch them or actually bond with any of them. He lifted a hand, scratching at the side of his face. "It's a pretty set plan if you'd be okay with it. I wanna help make your job a bit easier." I think he meant herding the Smoke band vs the Inferni group? Lemme know if wrong, haha. Feel free to pp her approaching Basi/Smoke again after they're done moving the horses. Basilio didn't acknowledge any tension, though Vicira wasn't sure if he was keen enough to pick up on it. There was a lot that she didn't know about her dwarf cousin, despite his closeness to her parents. They simply hadn't been around each other long enough, hadn't had those tentative heart-to-heart talks. He was a mystery to her, if one that came with troublesome clues. He was quick to suggest something, and Vicira nodded, glancing at the herd. It would give me time to get these guys back, she said, nodding her head in the direction of the Inferni band. They'll be safe enough if I can herd them toward the village; Myrimom would probably be out and could take over. She led Tigana around between the Smoke band and the Inferni horses then took a few steps toward them. Bairre obeyed quickly, and soon the others; she started to herd them back into the heart of Inferni territory, but twisted in the saddle and yapped to Basilio. Head southwest with them, at the edge of our territory and closer to the bay, she called. I'll join you soon, so just keep an eye on them. Word Count → 343 :: We can end this soon if you want. Basilio had watched Helotes herd the horses of either band. He knew what to do, how to do it and when. He watched the girl move with Bairre, the same horse he'd helped Crucifix learn to ride with, and then when the yap drew forth from his herding partner, his attention drew to her and his own horse moved into action beneath him. He had often brought the blue roan mare out here to the horses, herded them and it made her feel like an alpha mare when she got to help herd them at any one time. That much he'd observed through the confidence she exuded when he came down from riding her afterwards, her head held high, even with the bit in her mouth. He yelped his reply to his cousin, moving onward with Gargyole's lead toward the Smoke band. In one instant, the two of them were herding the animals in the general direction that Vicira had given them, moving on the outskirts. It wasn't often that a horse got out of line when he came close. Even if they did, one rough bark from Basilio sent them back into position while Gargyole worked her best to keep up with them. They didn't move too quickly. If anything, they were hungry and wanted to graze. There weren't many who had young ones with them. Those that did kept them close by and under watch while Basilio and Gargyole kept their positions, waiting for the girl to return. They didn't know each other very well. It was hard to sire a trust between the two of them when Basilio had pulled his hand when they were around one another the first time. He still thought about that when worst came to worst. 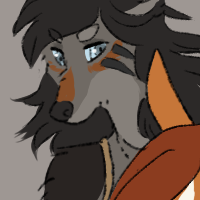 She was Vesper's and Myrika's daughter. He shouldn't have crossed that line, though it still hadn't stopped him from getting close to Crucifix or deciding that she was worth him changing over. There was always something to consider when the two were near one another. The herd stopped, an action caused by the two of them slowing down while the herd realized that they weren't being moved anymore. They were only a short distance from the bay, the spot Vicira had orchestrated only a short moment before. Basilio and his mare raced away toward the feral horses, and with a yip Vicira rallied Inferni's animals. Tigana was equally excited about a chance to push the stallions around, and it didn't take long to deter them from lingering too close to the borders. Vici let out a short howl to alert her mother to the presence of the herd, too; Myrika would be able to lead them back to the stables if Vici took too long. That finished, she galloped Tigana toward the bay. The roar of the ocean was ever-present in Inferni territory, and when it grew louder she slowed. Tossing her black-and-white mane, the pinto trotted through the rising surf until they reached Basilio. Thanks, Vicira yipped. Now let's check on these guys. It was no easy feat getting close enough to the horses to make sure that none of them were injured; while perhaps years ago they had been tame, most of their trust in Luperci had atrophied during their life in the wild. There was one bay mare friendlier than the others who approached with hopeful sniffs, but Tigana's pinned ears deterred her. Most of these foals are buckskin, the grey coyote remarked when she rejoined Basilio, content that none of the animals were obviously hurt. It's probably time to round them up with Salsola soon -- maybe release new blood in if they agree. I'd have to talk to Myrimom about it. She knew Vesper would have no interest associating with the horses or Salsola. She flashed the dwarf another smile. Thanks for the help, she repeated, then teased: Maybe you should have been a Fera. It was an obvious jest, though she hadn't seen Basilio fight since he'd been injured in the war. It had touched them all. Her smile faded quickly, and she patted Tigana's neck before wheeling her toward home.